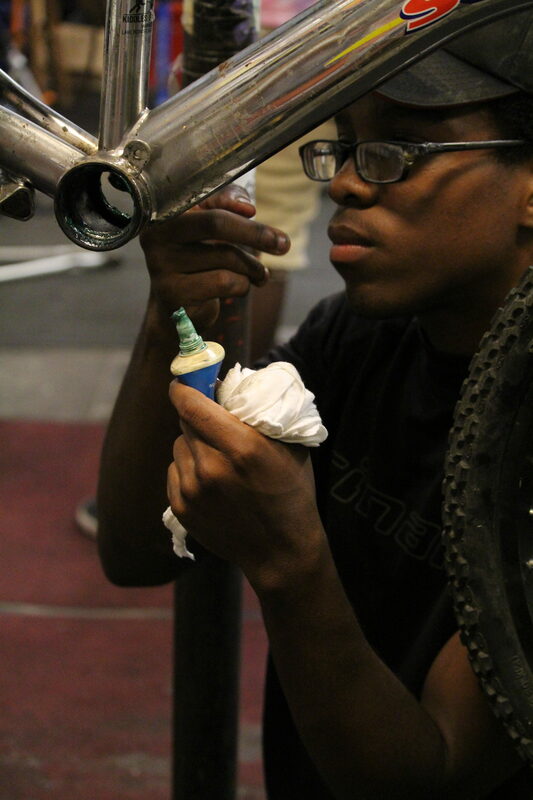 A comprehensive overview of bicycle mechanics in 8 weeks. We cover overhauling and adjusting bottom brackets, headsets and hubs, wheel truing, brake, shifter and derailleur adjustment and any other finishing work, detailing or fitting. You can use your own bicycle or borrow one from us. We provide basic supplies. Used parts are available and new parts and accessories can be purchased through our sales shop, Ciclo Urbano. We have storage space for the project bike, parts, and supplies while the class is running. Participants must take the bike and all other belongings at the end of the course.